The all new Street 150 becomes the first ever 150cc bike to be a part of Bajaj‘s cruise segment. In this article we are going to cover details like features, specifications, price and all the relevant information connecting to Avenger Street 150 bike from Bajaj. Bajaj Avenger Street 150 has been introduced to bring the genuine cruiser experience to the emerging 150cc riders. The bike was unveiled along with Cruise 220 and Street 220 during the Mumbai launch event. The new Avenger Street 150 is powered by 149cc engine that churns out a maximum power of 14.5 PS @ 9000 rpm and delivers a peak torque of 12.5 Nm @ 6500 rpm. Avenger 150 Street’s engine is mated to a 5-speed manual gearbox. It is very interesting that Bajaj is able to offer their very popular Avenger series even in the 150cc segment – thus making it very affordable. Talking about the dimension of new Avenger Street 150, the bike’s wheelbase is 1480mm. The bike measures 2177mm in length and 801mm in width and height of the bike is 1070mm. Street 150’s weight (kerb weight) is 148 Kgs, and has a ground clearance of 169mm. The front tyre size is 90/90×17 and rear tyre measures 130/90×15 in dimension. The fuel tank capacity of new Bajaj Avenger Street 150 is 14 litres. When it comes to braking, the bike has 240mm disc brake in the front and 130 Drum brake in the rear. 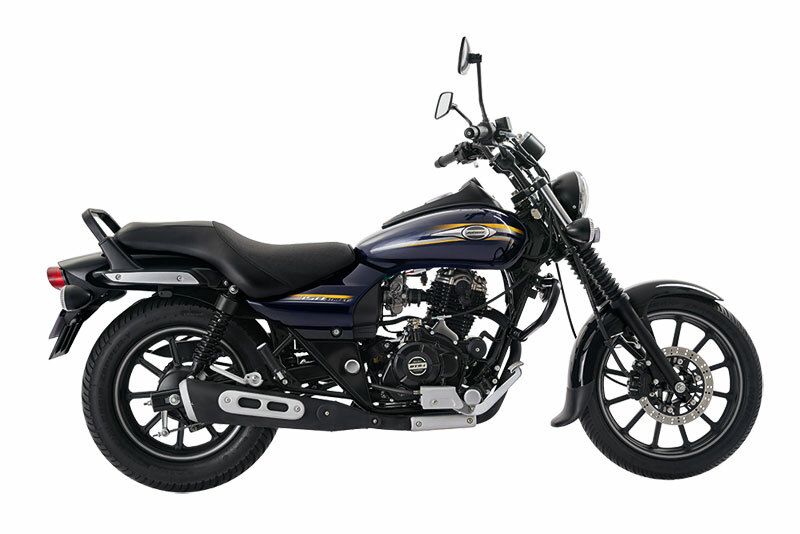 The all new Street 150 from Bajaj comes with one stylish and subtle – Matte Black color. The all new Bajaj Avenger Street 150 has been priced at Rs. 75,000/- (all Ex-Showroom Delhi).